This entry was posted on Monday, May 4th, 2009 at 12:46 am	and is filed under Uncategorized. You can follow any responses to this entry through the RSS 2.0 feed. You can leave a response, or trackback from your own site. I was just curious, now that your car is finished, how is it for the noise level inside the cockpit? 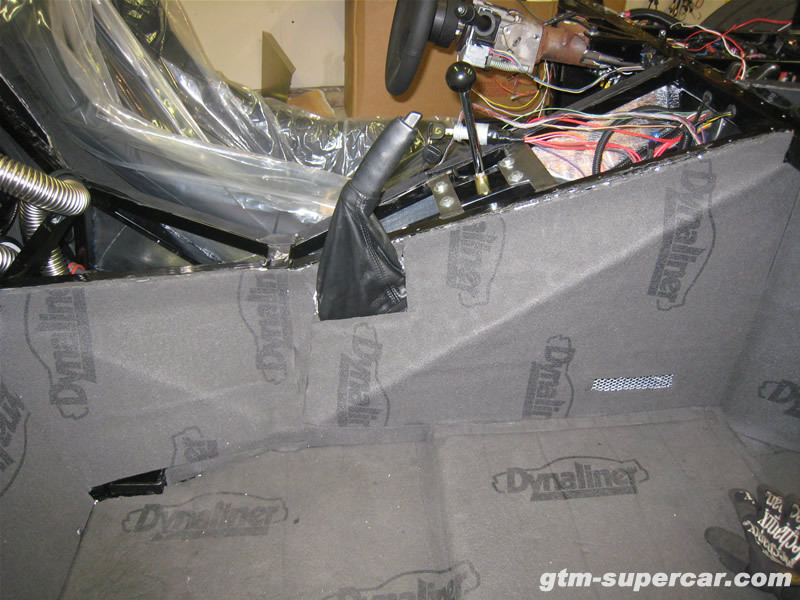 I noticed that you have sound deadening in all the same places i have, so my GTM should be pretty similar to yours when it comes to the noise. It’s loud due to the engine being right over your shoulder. If there was a way to mute the engine I don’t think I would hear much of anything in terms of road noise, it is pretty solid! I rarely hear rocks or anything striking the wheel wells or the under-body. I can’t imagine how much it would sound like a tin can if you didn’t have any sound dampening material. Cool, so its just pretty much just the engine you hear then. Did you sound dampen the interior engine cover also? To be honest, what you just described is basically what i assumed it would be like. I did sound dampen the interior engine cover so hopefully, it’ll be a little quieter. But all the same, it is a barely tamed race car for the road so technically, it wouldn’t be right if it wasn’t loud lol. Basically, what i’m trying to aim for is for that “little road noise and solid feel” of a production car. Whether i hit my target remains to be seen though.